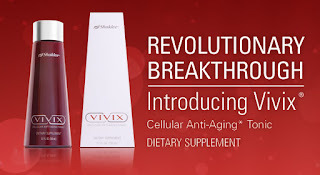 There is so much research coming out of the woodwork on Shaklee's anti-aging resveratrol called Vivix. SUNY Buffalo study of the impact of Vivix on Nrf2, in the paraphrased words of Dr. Carsten Smidt, "The mother of all anti-aging genetic regulators". The placebo controlled study involved health adults eating, according to Dr. Smidt, "an insulting 910 calorie typical junk food breakfast laden with fat, carbohydratel, and a little bit of protein" and watching the impact on Nrf2 activity. With the "food" alone, Nrf2 activity was totally flat to declining over five hours. The same meal eaten with a serving of Vivix created a massive spike of Nrf2 activity after several hours, with a significantly elevated, protective level maintained after five hours. This study apparently supports a new paradigm that anti-aging genetic regulators can be stimulated to have a profound effect immediately, rather than over time, as previously thought. Shaklee resveratrol is 98% pure. science says 100 mg best doseage. This is what makes Shaklee's resveratrol anti-aging product called Vivix stand above the rest!